The beach is a wonderful place. I find it a bit more wonderful when it’s not incredibly overwhelming with hundreds of people and cars making their way through town. 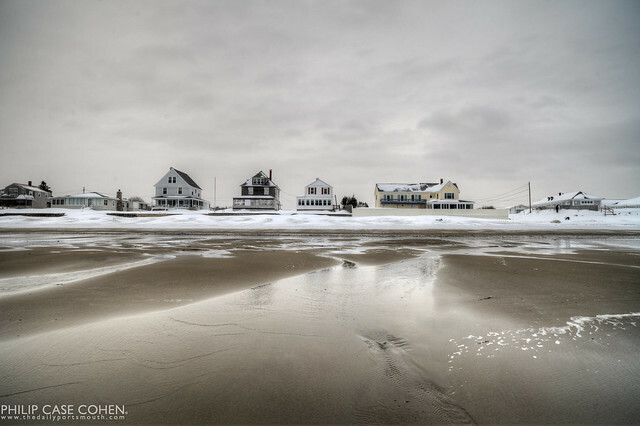 This winter scene is from the waterfront at low tide with the peaceful homes on the oceanfront standing watch over the intense winter weather…and all the people when they return. Just visiting your blog for the first time today, you have some great shots of your city!